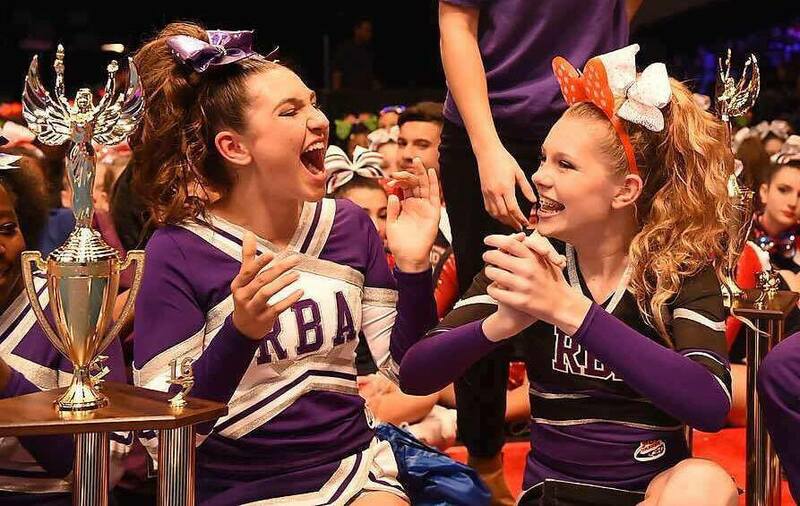 You are here: Home » Blog » RBA charter schools win NINTH national cheerleading championship! December 14, 2016– A Leland cheerleading program has won its NINTH national championship since 2011. This weekend, The Roger Bacon Academy Vikings Pop Warner program sent five squads to national competition in Orlando, FL. With five squads competing in different divisions, the program earned two 1st place national titles, one 2nd place national title, one 4th place national title, and one 5th place national title. The program also earned two national “Spirit of Sport” awards—the competition’s “Miss Congeniality” equivalent—as well as an award for the highest jump score. Broadcast on ESPN 3, the national competition included approximately 330 squads across various divisions. These champion squads are comprised of K-8 students from public charter schools managed by Leland-based company, The Roger Bacon Academy, Inc. (RBA). Because charter schools do not receive funding for athletic programs, the company sponsors cheerleading and football teams for its client schools, which include Charter Day School in Leland, South Brunswick Charter School in Southport, Columbus Charter School in Whiteville, and Douglass Academy in Wilmington. 165 students participate in the RBA cheerleading program. The common denominator for the program’s success is Head Coach, Jean Lafave. Lafave started the program at Charter Day School in 2005 and expanded the program in 2014 to include Columbus Charter School students. In 2016, Lafave expanded the program to include South Brunswick Charter School students, who earned a 1st place national championship in their first year of competition. Since 2011, Lafave’s squads have earned nine 1st place national championships and numerous top-five national titles. Individually, Lafave was named Pop Warner’s 2016 Volunteer of the Year for the Mid-South Region. An unpaid volunteer, Lafave leads both programs with the support of volunteer assistant coaches—one of whom includes her daughter, Abby, an alumna of a former national champion squad. In addition to a national champion cheer program, the two K-5 and two K-8 schools in the RBA family offer a classical curriculum and are frequently their area’s highest-scoring schools on End-of-Grade tests. All campuses are tuition-free and welcome any student, regardless of address, income, or ability. Open enrollment for the 2017-2018 school year will run January 1-31, 2016. To enroll online or learn more, please visit www.rogerbacon.net/enroll.